Mani-pedi perfect! Treat your hands and feet to a salon experience anytime you want with these convenient clippers. 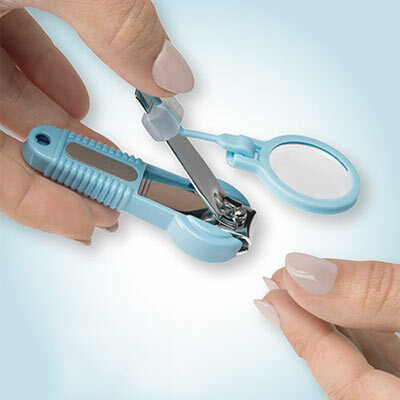 Features a 2x adjustable magnifier and stainless steel knife edge clippers with built-in nail file. Hand grip and magnifier are removable for custom comfort. 3¼".